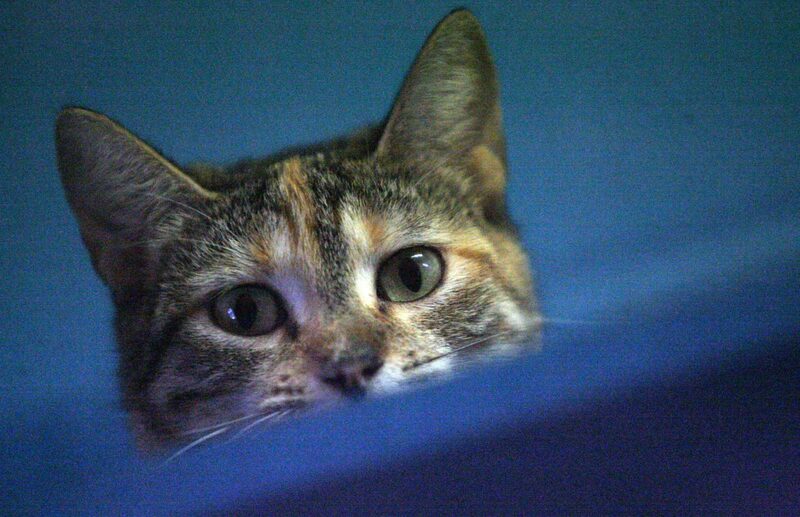 A cat named "Anita" peers from a top shelf at the Palm Valley Animal Center Thursday March 22, 2018, in Edinburg. EDINBURG — In late February, images surfaced of animals at Palm Valley Animal Center in troubling conditions. Widespread online criticism and threats toward shelter officials ensued. 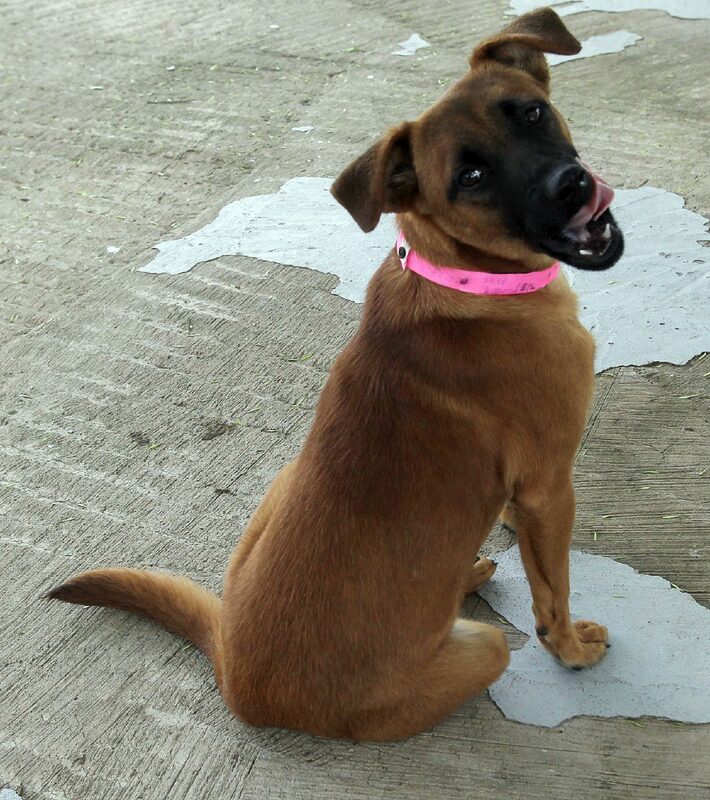 Larger animal welfare organizations, such as Austin Pets Alive! (APA) and The Humane Society of Tulsa learned of the shelter’s negative publicity and offered help. Last week, APA among other organizations visited PVAC, and helped them restructure their intake system. Now, animals are vaccinated before stepping foot in the shelter and are kept in cohorts based on the day they arrived. Maddie’s Fund donated $10,000 to waive adoption fees and labor costs while PVAC cleared the shelter in order for the assessment to run smoothly. The Humane Society of Tulsa also rescued 105 animals (a day’s intake) from PVAC, which they said will continue on a monthly basis. 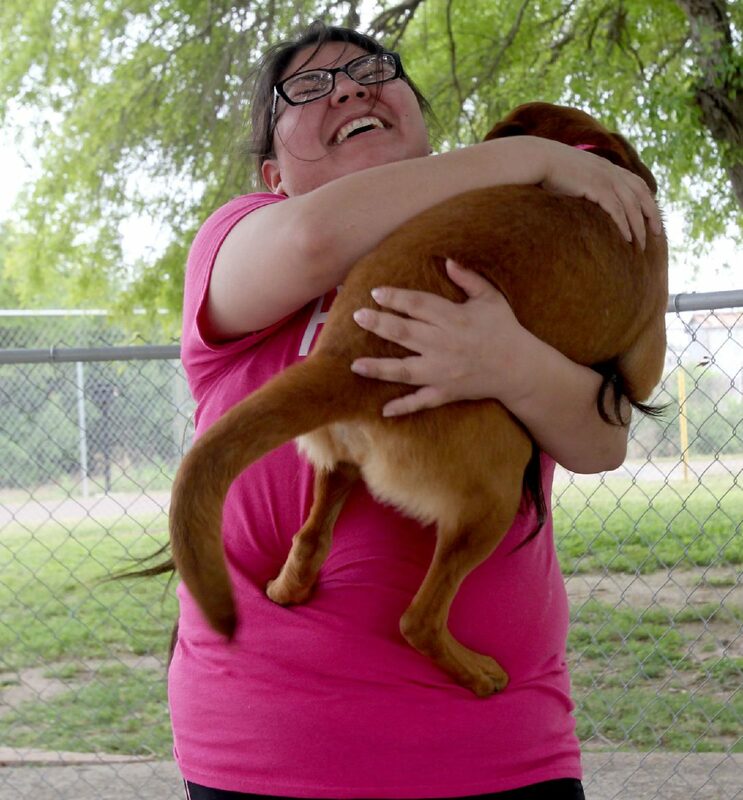 Palm Valley Animal Center team lead assistant, Giovannie Ramirez plays with "Rosie" a 9 month old stray Thursday March 22, 2018, in Edinburg. 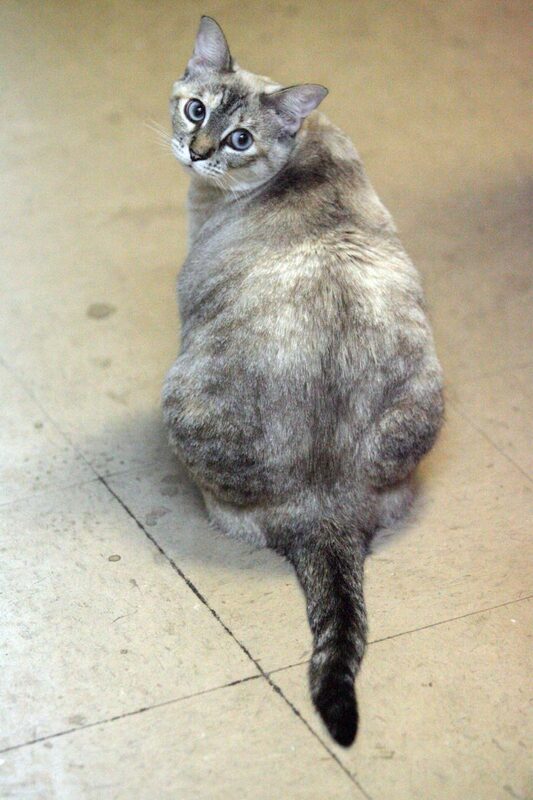 Powder, a 2 year old domestic short Lynx point cat looks back while being photographed at Palm Valley Animal Center Thursday March 22, 2018, in Edinburg. 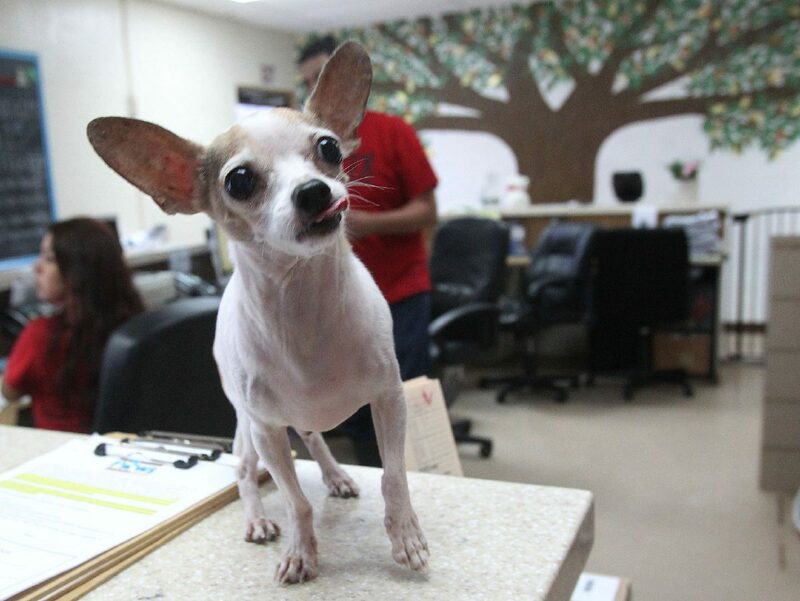 Chiquintin, an 11 year old chihuahua, looks for a treat during a visit to the Palm Valley Animal Center Thursday March 22, 2018, in Edinburg. Rosie, a 9 month old stray looks happy during play time at Palm Valley Animal Center Thursday March 22, 2018, in Edinburg. In the same letter, Jefferson also pointed out some of PVAC’s disadvantages, which all lead back to lack of funding. In a previous interview with The Monitor, Jefferson said PVAC is funded at about one-eighth of what it should be. “To put them in perspective, the city of Austin cares for half the animals and has a budget four times the size of PVAC,” Jefferson wrote. The shelter is a 501(c)3 nonprofit that takes in animals from 14 municipalities in Hidalgo County, and the county itself. Shelter officials say they take in about 100 animals every day, which can easily lead to overpopulation and subsequently the spread of disease. The money received from contracts is essentially meant to cover the cost of intake and euthanasia, Jefferson said. Rebeca Villanueva, director of development at PVAC, said their budget (roughly $2.6 million) doesn’t reflect their workload at all. In light of the negative attention, the shelter is also exploring a more transparent approach — explicitly calling on the community for help. The shelter created a Facebook page titled “PVAC Urgent Pets,” where they post photos of animals in need of rescue, who will otherwise be euthanized to make space for more animals. Villanueva said the community can help by adopting, fostering or making monetary donations. In order for the shelter to sustain its new rescue program, they need to purchase a new transport vehicle and hire a full-time driver to make daily runs to San Antonio. For that, they were given a quote of $58,000. The shelter doesn’t currently have those funds, but they don’t plan on doing it alone. “We want to makes sure that our community is part of that conversation and definitely that they’re part of the solution,” Villanueva said.